· Slice two strawberries and keep aside. · In a mortar, crush the strawberries, sugar,lemon slices and mint leaves. 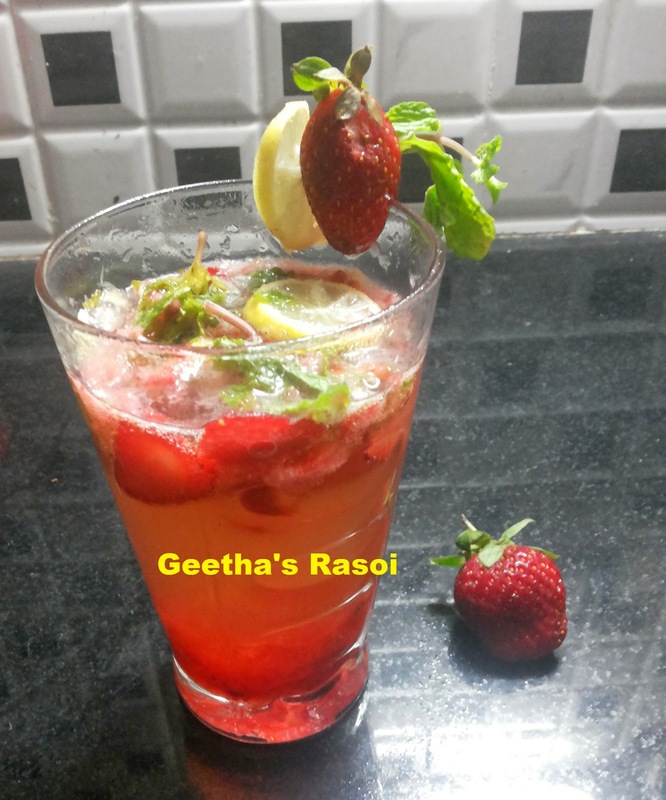 · Pour the crushed mix into glasses and pour chilled soda over it and decorate with strawberry slices and mint leaves.